Snack food and health food are not mutually exclusive. You CAN have snack food that is both nutritious and delicious! 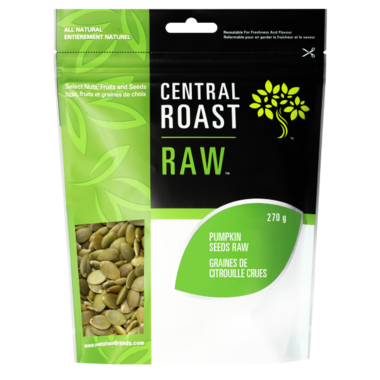 Nosh on Central Roast's all-natural and wildly flavourful nuts, dried fruits, seeds, mixes and treats, that satisfy every craving. Raw pumpkin seeds are delicious, nutritious and versatile in the kitchen! Add them to trail mix, hot cereal, salads, bread and baking. Or eat them straight out of the bag! 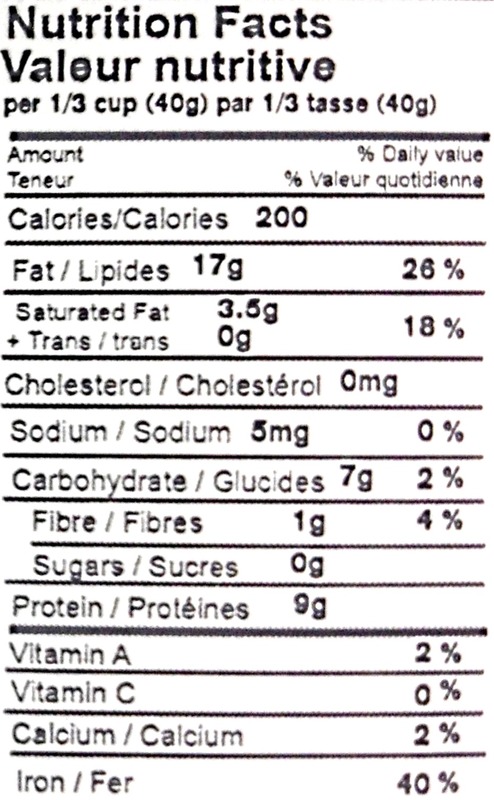 May contain peanuts, tree nuts, sesame seeds, soy, wheat and/or milk. The seeds are excellent quality. Try to get them on sale. Good size, good price, includes a seal to close after opening, no additives. Great product, overall! Great product that adds a nice crunch to salads. These are delicious. Great in oatmeal, salads, or just as a snack on their own. And good for you too! Great product. So far, I've used it for baking cookies and as a snack. So glad Well carries this product. Makes a great salad ripper. I sprinkle these seeds on everything. Haha! Seriously, though, great product. I consume them, either, raw or I'll oven roast them first. I keep all of my nuts and seeds in the fridge so that they stay fresh longer (and don't spoil). Will most likely purchase these again. Great product. I use them in my homemade granola and in smoothies. I love pumpkin seeds, and these are great. Taste fresh, not salted and wonderful sprinkled on many healthy dishes. Great snack option with lots of health benefits! My family and I really enjoy this product as a healthy snack option. We enjoy this brand a lot. Very happy about this purchase. It was exactly what I was looking for. Love these pumpkins seeds. But this brand because raw and no salt. Great fresh product! Love that it's raw and unsalted, tasty and healthy too! Very fresh, bursting with pumpkin oil!